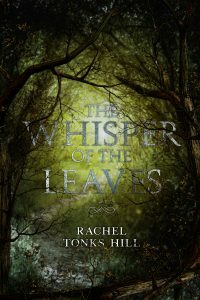 Today is the day my latest novel, The Whisper of the Leaves is released into an unsuspecting world. I am so excited for you guys to finally be able to read it. It was a lot of fun to write and I’m hoping it’s just as much fun to read. Anyone who’s been waiting for a paperback copy, these are now available to order through Amazon. Bazrad ka-Duri is happy with her life. Sure she’s been exiled to the surface and no one else seems to notice that the trees can talk, but things could definitely be worse. Her plans to spend her remaining exile drinking herself into a stupor are disrupted by a pair of elves who drop in to say hello. 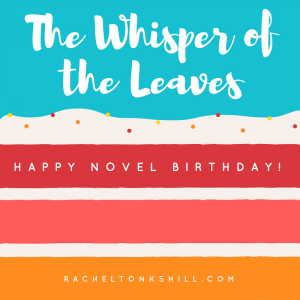 Apparently the fact she can hear what the trees are saying is a “gift”—The Whisper of the Leaves—and they need her to use it to save their home. What follows is an adventure Bazrad could never have anticipated and never really wanted. She will find herself caring about things she doesn’t want to care about, and questioning every choice she’s ever made. When things don’t go according to plan, will Bazrad do the right thing, or will she run? Thank you to everyone who pre-ordered the novel, it means a lot to me as an author just starting out. And if you didn’t manage to pre-order it, it’s not too late to grab a copy from any of the links below. If you do grab a copy, don’t forget to leave a review letting me know what you think. Super looking forwards to hearing your feedback on this one. The Whisper of the Leaves is available as an ebook from Amazon, Barnes and Noble, ibooks, the Kobo store or Smashwords. Paperback copies available from Amazon.